When Splatoon 2 launched, the Stingray was a special that sounded neat on paper. A giant blast of paint, firing across the map, dousing all in sight. In practice, not so much. But the most recent patch to Splatoon 2 has added some oomph back to the Stingray, and it’s becoming a new favorite of mine. 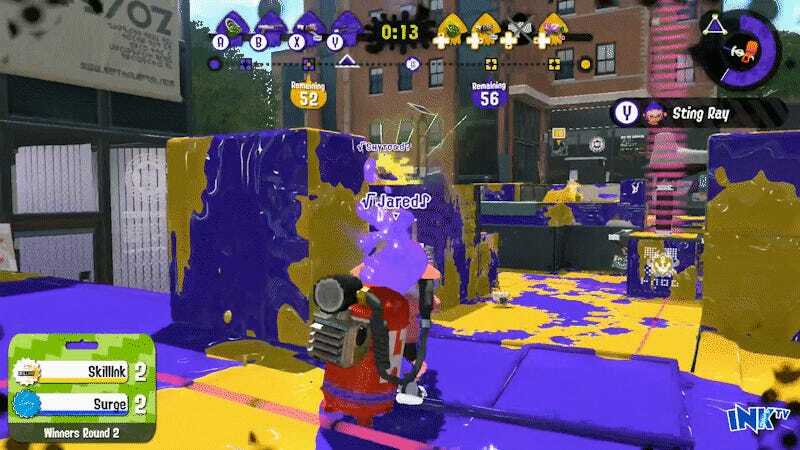 Firing the Sting Ray continuously for 1.5 seconds will cause a shock wave to appear around the ink blast, significantly increasing its damage radius. Combined with some special duration up bonuses, it becomes a potent weapon for pressuring corridors and controlling areas like the Splat Zone or tower. While it’s questionable whether this upgraded version is actually overpowered or has just been brought up to par with the rest of the squid specials, it’s nice that I’m not hyped up and then immediately let down by the Stingray. Also, you get to feel like Gohan at the end of the Cell Saga, which is always a plus.